On the topic of Sweden I cannot leave this subject without mentioning this country‘s greatest writer, Astrid Lindgren. I say greatest without meaning to disrespect other Swedish writers both present and past. There is simply no other place for her than at the top of the list. For one she has sold more books than most writers in any country – over 145 million copies and counting. Huge sales do not automatically qualify a writer as being great, but continuous sales through generations do. 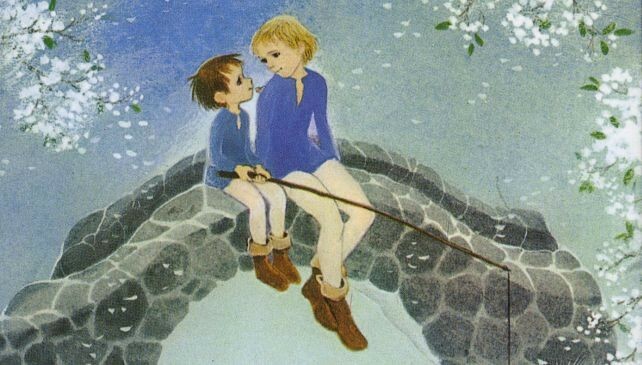 Astrid Lindgren‘s books sell well because they are wonderful and many of the numerous titles she wrote are timeless. I remember loving her books as a child, I remember my children loving them and last night my six year old grandson was happily reading a book about the misadventures of Emil and his sister Ida. When smaller he enjoyed being read Pippi Longstocking and I expect he will soon move on to reading on his own about the brothers Lionheart, Ronia the robber‘s daughter and Mio. Every one of these books has an incredible charm that is rooted in the characters, settings and the storylines, a mix that manages to appeal to children without ever being condescending or stupid. The young were her readers and she the author fully respected and understood them. 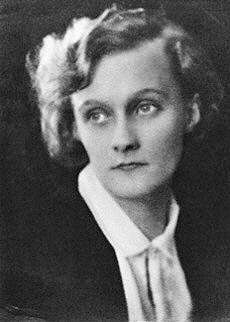 It is funny to note that Astrid Lindgren‘s writing was not fuelled by financial gain. At one point in her life she paid a tax rate of 102%. Meaning the revenue for every book sold was not enough to pay what was due to the Man. She came out at a loss. Taxes in Sweden have long been odd. It is shameful that the people involved in selecting those offered the Nobel Prize for literature prize never looked her way. It is really more than shameful – it is the most stupid oversight in the history of literature. Keep in mind that Nobel‘s will noted that his money was to be used for prizes for those who provide the "greatest benefit on mankind". There was also some hoo-ha mention about “idealistic tendency” – whatever that means. I imagine that Astrid Lindgren writing for children had everything to do with this stupendous snub. Anything to do with children seems to be considered second class when it comes to so many aspects of our civilisation. Yet most grown-ups that are lucky enough to have kids tend to agree that children being the most important thing in their lives. Anyway, if the Academy had looked into it they could have found lot‘s of idealistic tendencies in the works of Astrid Lindgren. For one the tales of Pippi Longstocking provide little girls with a protagonist of their own gender that is not being saved all the time but is instead a catalyst and a girl that actually takes charge in every situation. Highly, higly unusual and still as much needed as when it was first published in 1945. Stieg Larsson is said to have based his Lisbeth Salander character on a grown up Pippi and chose named Mikael Blomkvist‘s last name from another Lindgren character, Kalle Blomkvist kid detective. I am somehow not exactly sure how Winston Churchill fits into the: “greatest benefit on mankind” or: ”idealistic tendency” category when it comes to literature. But he won the literary prize in 1953. Ridiculous if you ask me. Especially if one takes into account that no author of children’s fiction has ever been awarded the prize. Never will I read anything written by Churchill. Not only does his name sound like a hill with a church on it but is spelled like a sick church - but mainly I am not interested in testosterone fuelled war recitations and ponderings about generals and artillery. Now that I think about it I do not know anyone who has ever mentioned reading his books. But every single person I know has at some point in childhood read Astrid Lindgren. For those of you that have not I strongly recommend you read the Brothers Lionheart to your children or grandchildren. It is such a beautiful story, adventurous and heartwarming at the same time. I truly believe that reading books such as the Brothers Lionheart as a child can influence the person that child will turn out to be. Books provide us with an insight into conditions, events and emotions we might never experience on our own skin, especially at an early age. They have the power to open the mind and allow complex thoughts in. Influence our aspirations and longings even. They heighten our emotional understanding and make us smarter and more wise to the world. Better people. If that is not important when it comes to the young then I do not know what is. Idealistic tendencies indeed. Regarding the Nobel prize, I guess that all things considered Astrid Lindgren needs no such prize. Children are not snobs. I second Stan. The ancient Greeks believed that hearing a great story told was a sacred experience. You have made the case here, Yrsa, of why this is true, especially when it cones to children. Brilliant! I intend to forward this to "The Committee," right as soon as I can find its address. But more important to me at the moment is finding a copy of the "Brothers Lionheart" in English over here before my grandchildren arrive in ten days. I also third Stan, and second Annamaris. Whoops, sorry for turning Annamaria into a Greek. I have told you before, Jeff. My roots are in Siracusa--the ancient Greek city of Syracuse. You have said on these pages. Una faccia, una razza! People have long been supercilious about things regarding children, and I love Lindgren's books. Children really home in on what's true. Children like to hear their favorite books being read over and over again. There is something in their favorite stories that strike a chord and influence them as they grow. Love of the books read to them as children form a base for a love of reading that carries them through life. One of my daughter's wanted braids like Pippi's. I never mastered that style.